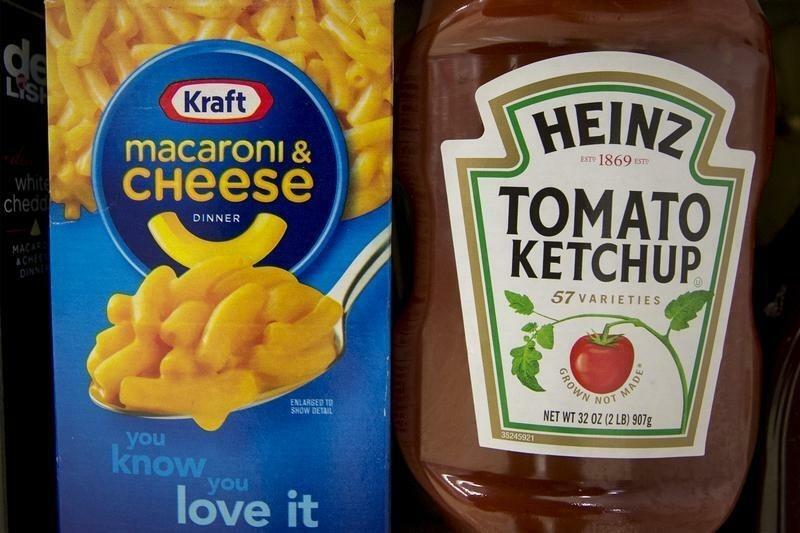 (Reuters) - Kraft Heinz Co (KHC.O), the packaged food company formed by the merger of ketchup maker H.J. Heinz Co and Kraft Foods Group Inc, said sales fell 4.9 percent at Kraft and 4.1 percent at ketchup maker Heinz in the last quarter before the merger was completed. Kraft Heinz shares declined 2.3 percent to $77.00 in after-hours trading. Sales at Kraft fell due to weak demand for its beverages, a result of fewer promotions versus the year-earlier period, while the strong dollar hurt sales at Heinz. Heinz, backed by Warren Buffett's Berkshire Hathaway Inc (BRKa.N) and Brazilian private equity firm 3G Capital, combined with Kraft Foods Group to create the third-largest North American food company. The merger was completed on July 2, just days after the end of the two companies' fiscal second quarters. Kraft's net income rose to $551 million, or 92 cents per share, in the second quarter ended June 27, from $482 million, or 80 cents per share, a year earlier. Net loss attributable to Heinz shareholders widened to $344 million, or 91 cents per share, from $53 million or 14 cents per share, a year earlier. Kraft's net revenue fell to $4.52 billion from $4.75 billion, while Heinz's revenue fell to $2.62 billion from $2.73 billion. Kraft Heinz, whose brands include Oscar Mayer, Philadelphia and Maxwell House, has said it expects to save about $1.5 billion in annual costs by the end of 2017. 3G has a reputation for introducing aggressive cost cuts and improving efficiencies at other companies it has invested in, including Heinz and Anheuser-Busch InBev NV (ABI.BR). "The company is focused on the difficult and challenging process of integrating our two businesses," Kraft Heinz's chief executive, Bernardo Hees, said in a statement. "We have a lot of hard work ahead of us as we continue to design our new organization, always putting our consumers first."